Round 4 of the 2013 PCRA BRA Bucket Championship. 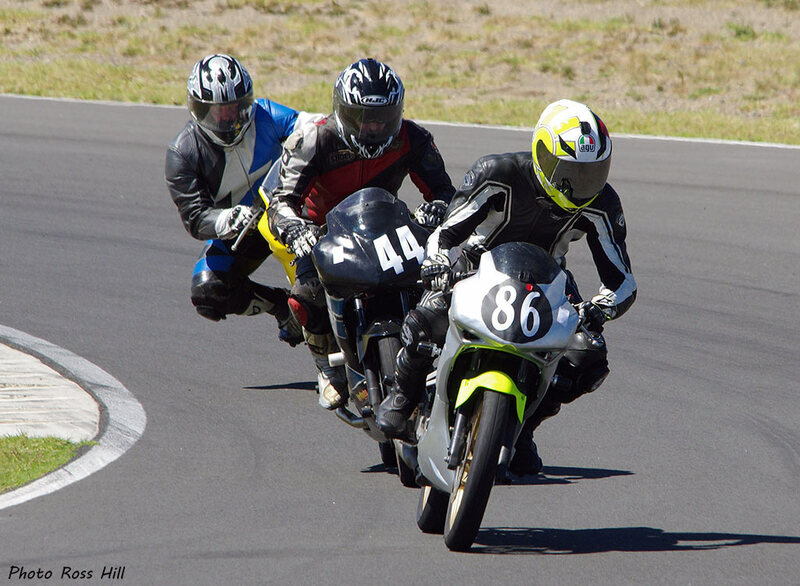 The final round of the 2013 PCRA BRA club championship got under way on a perfect Spring day with good track temperature. As usual the buckets put on an exciting display of close racing with some of the Championships going down to the last race. 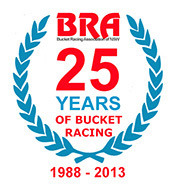 Bucket racing keeps on going from strength to strength with 51 entries for the final round in 2013. Jason Dunn's (Honda RS85CR) 2013 Motolite season ended as it started winning all races in the day, in fact Jason has totally dominated the Motolite class by winning all 10 races in the series. Quite a contrast to last year when Jason hardly finished a race. 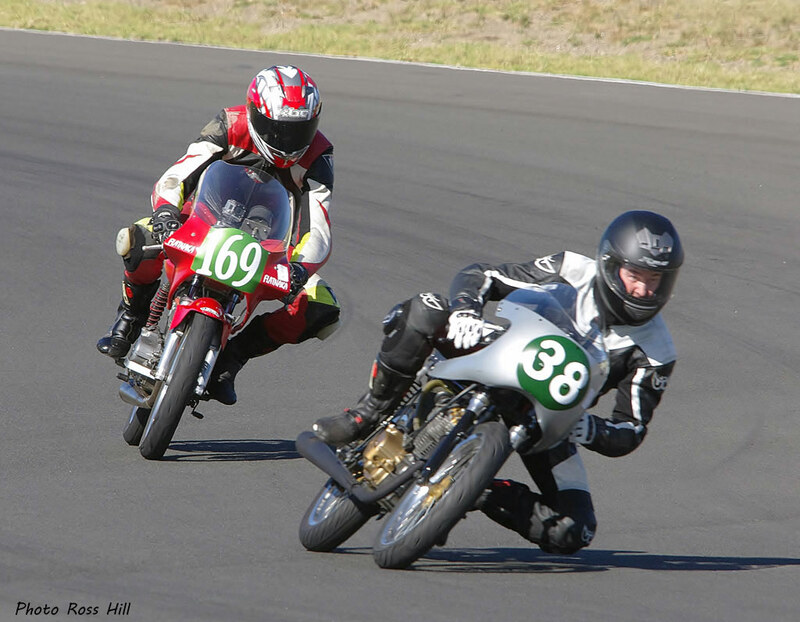 With Paul Borg dropping out of the Motolite series to concentrate on the P6 125 Historic class it was left to Andrew de Jersey (Honda CB200), Shane Wilcox (Sculley Honda RS85CR), Ken Lawrence (Big Bang Engines Honda RS150CRFr) to challenge Jason. In 2nd place in the Championship coming into the final round Andrew de Jersey crashed out on race 2 and not racing in race 3 took him out of the running, he finished 4th in the Championship. Shane Wilcox try as he might could not catch the flying Jason and had to contend with a fast improving Anthony Marsden (Sculley Honda RS85CR). Ken Lawrence riding a P4 Honda 125 (His regular mount out of action) was short on horsepower but still managed to score enough points to retain 3rd place in the Championship. New to the Motolite class and showing great improvement every time out Anthony Marsden finished 2nd on the day and next year may well take the challenge to the all conquering Jason Dunn. #38 Walter Murphy (Honda CB150) enjoyed a great battle for the Superlite Pro Championship with #169 Ian Gregory (Honda CB150). 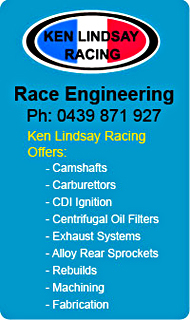 #2 Ken Lindsay (RCB150) came to the final Race in 3rd place with an outside chance of taking the title. Ian was in determined mood and won race one with Walter 2nd and an on the pace #65 Tim Smith coming home 3rd relegating Ken Lindsay to 4th. 2012 champion #1 Fred Hollands horror year continued as he struggled with a misfiring engine and was well off of the pace. Race two looked like Walter had it in the bag but relentless pressure from Ian forced Walter into an error at the hairpin last time around and Ian swept past for the win as the #38 recovered to finish 2nd. #65 Tim Smith again pipped #2 King Kenny to the line for 3rd with #27 Fred Holland 5th. Race 3 final race of the Championship #38 Walter Murphy swept into the lead and managed to fend off #169 Ian Gregory to take the win and the Championship although Ian won the day with 2 wins and a second. This time the King beat #65 Tim for 3rd with Tim netting 3rd overall for the day. #1 Fred Holland finished 5th. 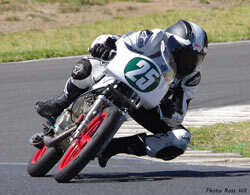 #25 Ryan Phillips (Honda CB150) dominated the 2013 Superlite AM Championship winning all but 2 of the eleven races. 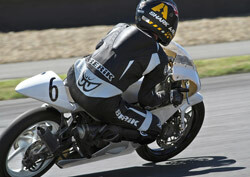 This exciting rider to watch was in a class of his own mixing it up with Superlite Pro and Motolite riders. Ryan won all 3 Superlite AM races at the final round. #8 Kurt Wagus joined the Championship at Round 2 and with Michael Lemon was the only other riders to get a win in the Superlite AM Championship. Kurt Wagus quickly established himself as best of the rest and with a string of seconds and thirds secureing a fine 2nd place in the Championship. Kurt will be a force to be reckoned with next year. 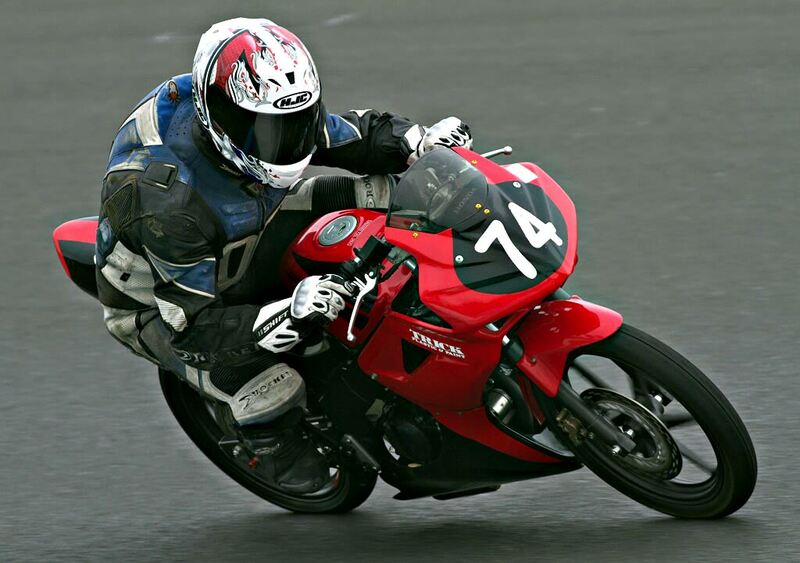 He finished 2nd in all 3 races at the final round. #888 Jack Robinson showed great pace to finish 3rd overall on the day. #31 Duncan Taylors consistency paid off on the Kawasaki 100 scoring a good haul of points to finish in 3rd place in the Championship. 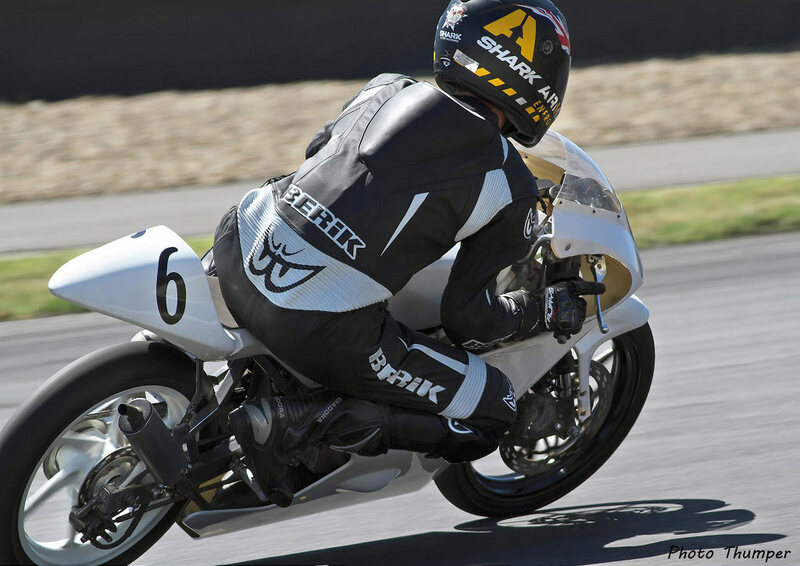 The Commuterlites produced some great racing throughout the year and the final round did not disappoint. 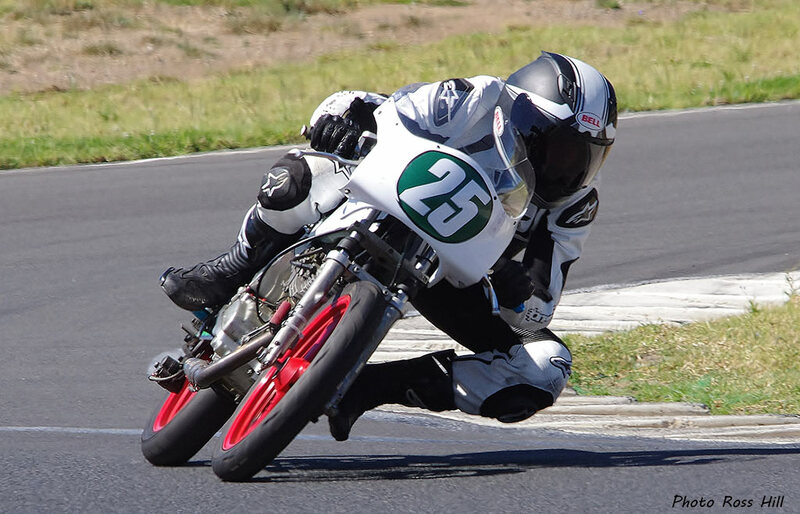 With 4 to 6 bike battles at the front the Championship went down to the wire with last years Champion Ryan Young not giving up his title without a fight. Anthony Marsden won race 1 with Ryan hot on his heels and Edward Marsden and Nicolas Wenban finishing next. Race 2 was a thriller with places being swapped regularly every lap. #86 Anthony won with his brother Edward 2nd and #44 Mark Strong 3rd ahead of Ryan giving Anthony a slender lead. It would be all down to the last race. The final race was another thriller and this time #48 Nicolas Wenban battled his way to the front to take the win from Anthony Marsden. Anthony was looking racy for the win and closed right up on the last lap but a yellow flag because of a fallen bike just off the track at the last series of bends thwarted any ideas he might have had. 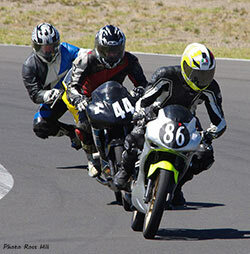 The championship was Anthony's as he was followed home by Ryan Young and and brother Edward. Anthony won the Championship by 5 points from last years Champion Ryan Young. Brother Edward was 3rd. Riders run to their bikes. A fun team race for Buckets was put on as last race of the day and Year. 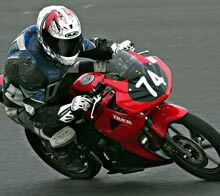 The format was 2 riders per bike, 6 lap race with rider change after 3 laps and a Le Mans start to add to the fun.